Gone to See the World. Semester at Sea Spring 2016 Voyage on the MV World Odyssey. Day 13: Crossing the Pacific Ocean From Hawaii to Japan. It was a long day. I got up well before dawn, and got a silhouette image of the forward deck statue. Then a so, so sunrise image. In my cabin on the 8th deck was an oil painting, with a brass label and signature on the painting of Claude Monet. I asked one of the art history students if she could identify the painting and if it was the original or a copy? I didn’t really believe that it was the original, but the ship (MV Deutschland) when Semester at Sea wasn’t leasing it as the MV World Odyssey did have a lot of art work (paintings, statues, gold chandeliers, exotic woods, brass fittings, china dining ware, etc). When I got back home, I was able to do a Google image search, and found that it was indeed a painting by Claude Monet “Path Through the Corn at Pourville“. The original is listed as being in a private collection. For sunset, I set up a camera to do a time-lapse sequence on the forward upper deck, which I made into a video. There was a 1980’s disco for the faculty, staff, and life-long-learners (students not invited) in the faculty lounge/bar. 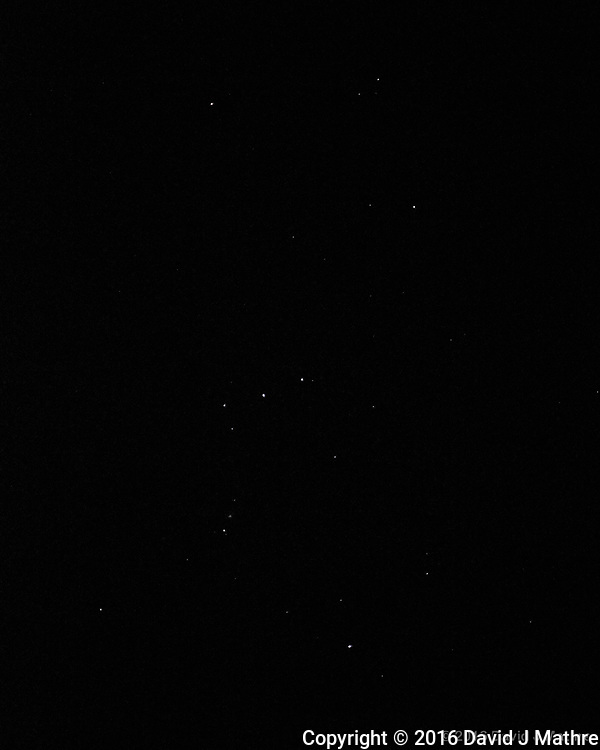 To end the day I got an image of the constellation Orion while standing on a moving ship. The sensors on the new cameras are amazing, and can capture images in very low light situations. In the past, I would have had to use a much longer exposure where you would see the stars as jagged lines.